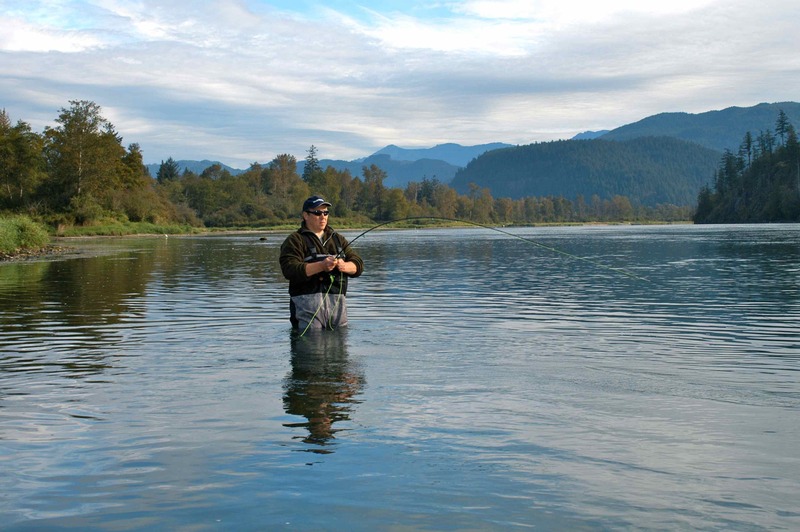 Fishing the Frazer River, British Columbia, Canada. 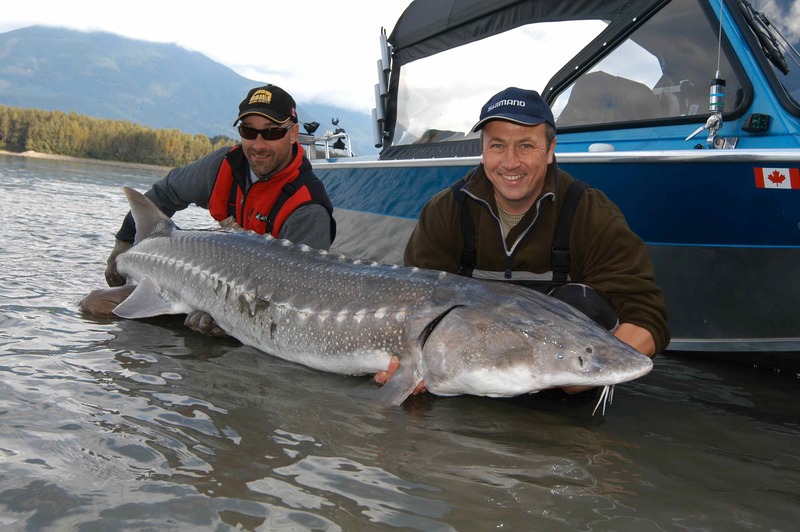 Undoubtedly one of the most spectacular fresh water sport fishing destinations you’ll find anywhere in the world. 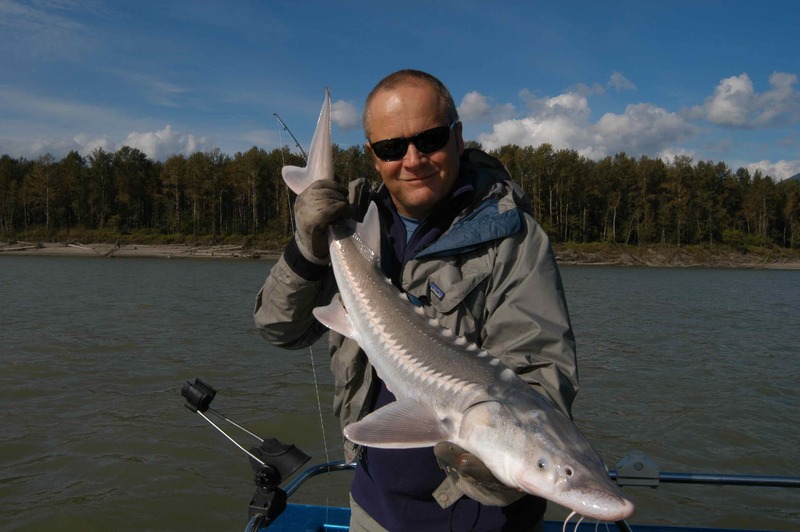 My first Frazer River sturgeon, nice fish but only a baby, fish to over 1000lb have been caught here! 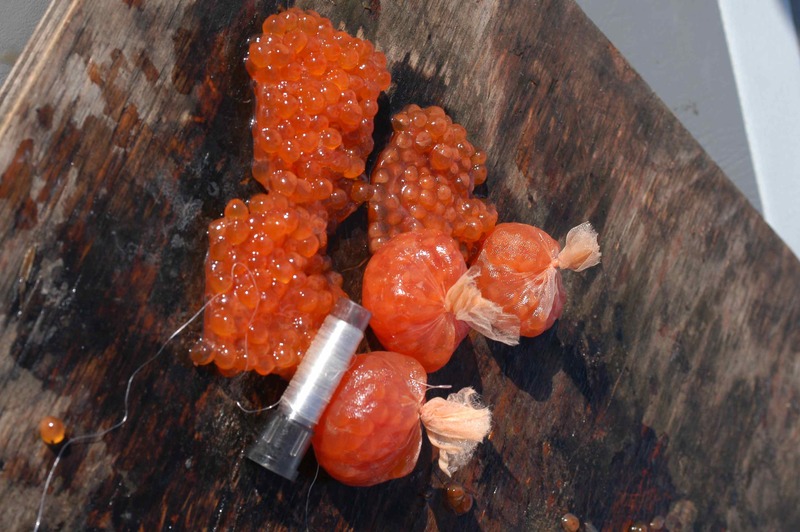 Small bags of salmon eggs, retrieved from some of the many dead salmon in the river, are one of the best baits. 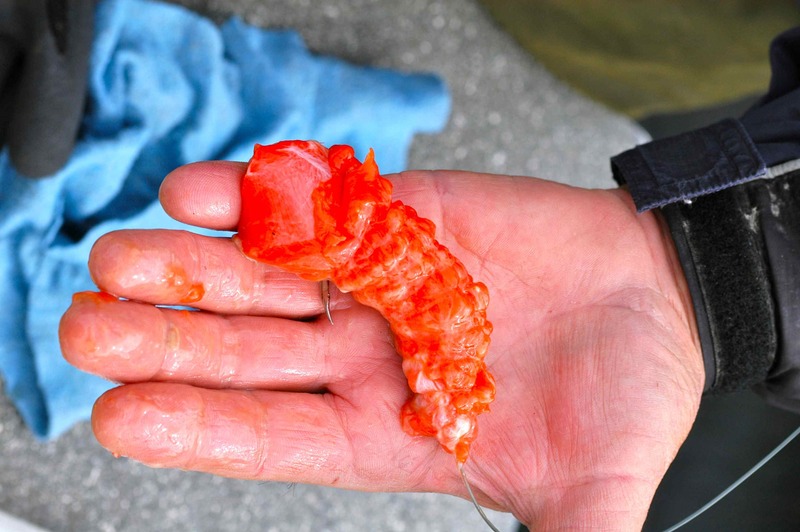 ‘Stink Bait’, the rotting flesh of a long dead salmon. 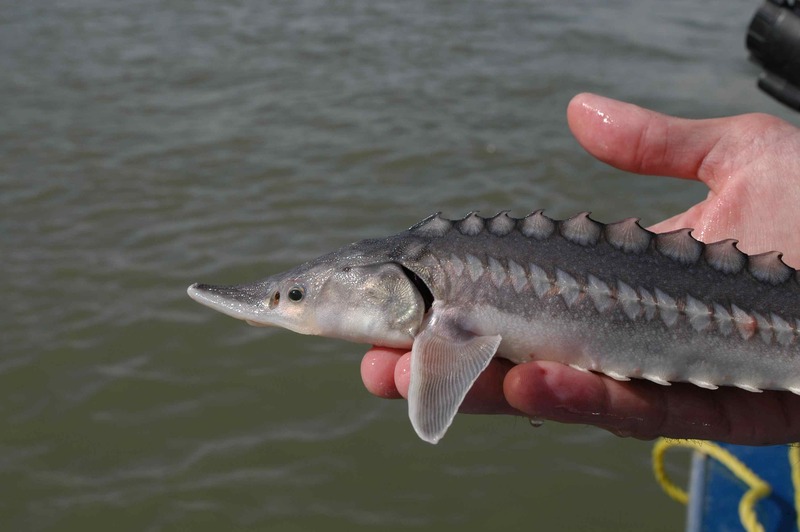 The smell is horrific, but sturgeon love the stuff. How cute is that, we’ve all got to start somewhere! 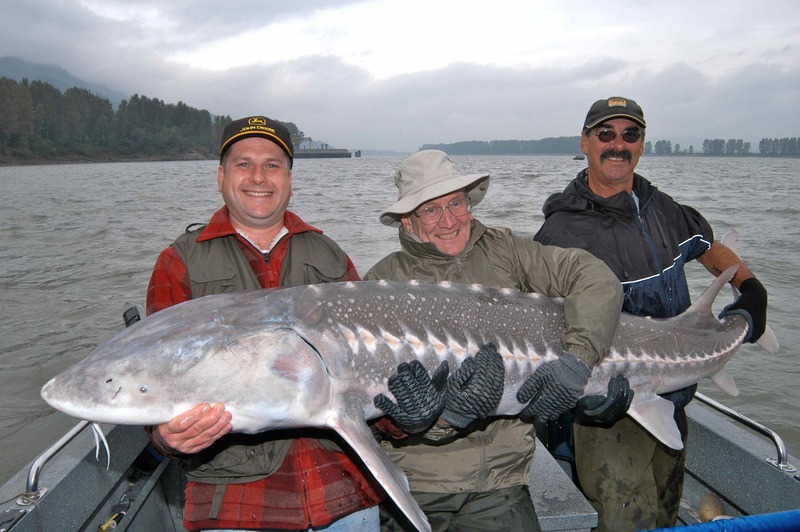 Frazer River sturgeon are about as close as you are going to get to tarpon in BC; a superb, hard fighting species sporting fish. 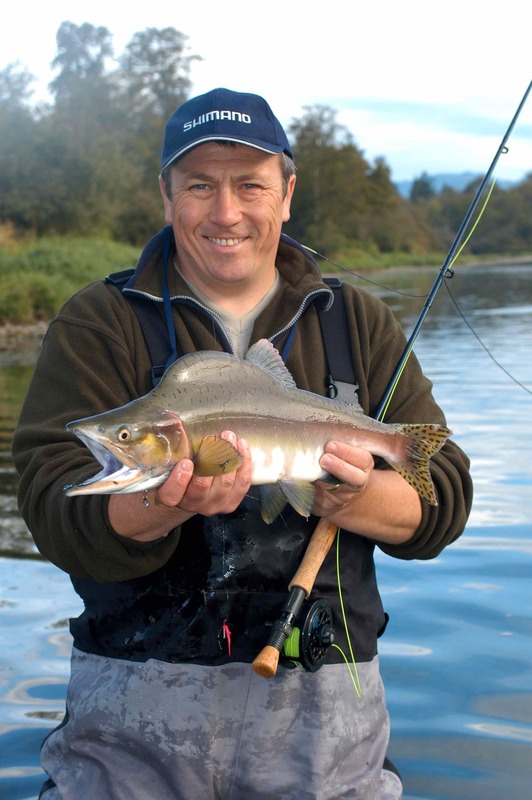 You can see why pink salmon are also called ‘humpies’! 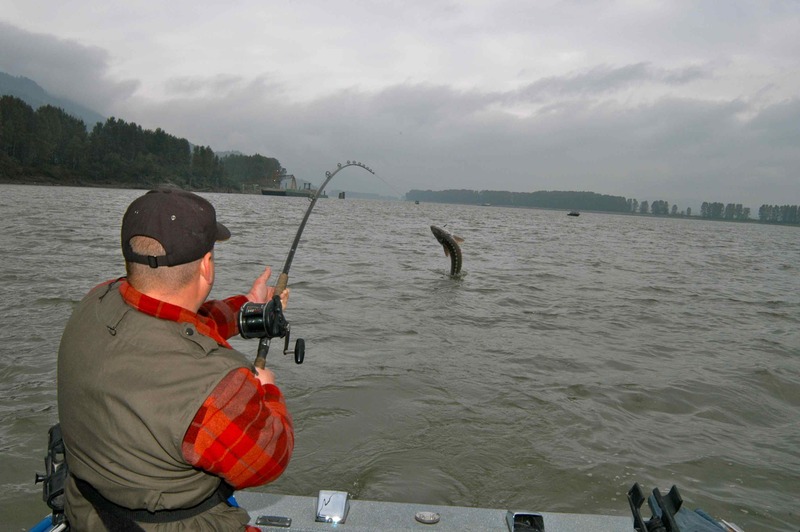 Like all Pacific salmon, pinks undergo a massive physical transformation when they enter fresh water. The sort of face only a mother could love! 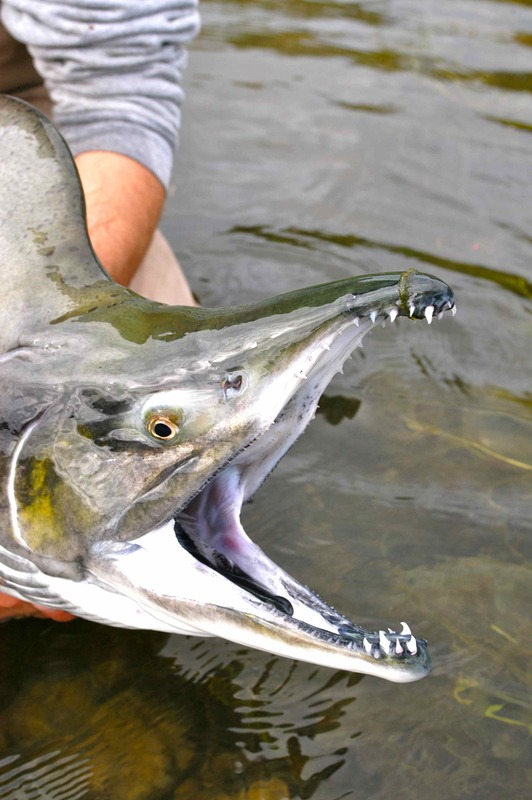 Close up of the maw of a male pink. 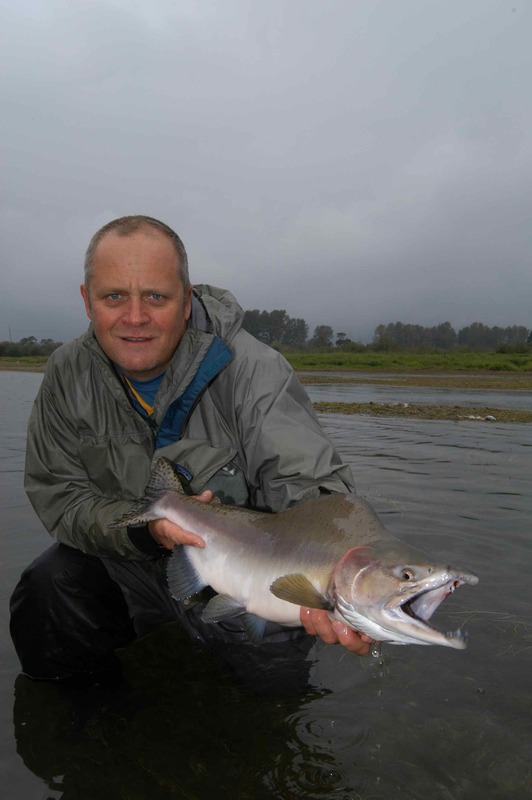 A nice little hen sockeye salmon, again from the Harrison. 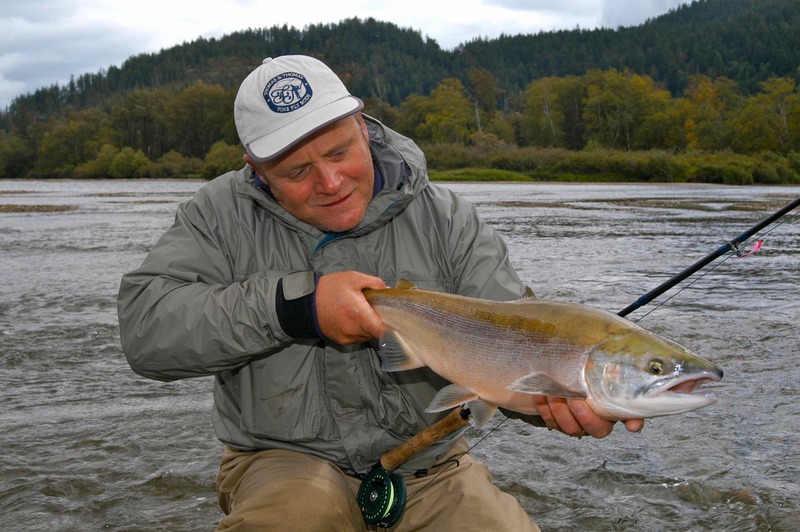 Byron Way fly fishing the Harrison. 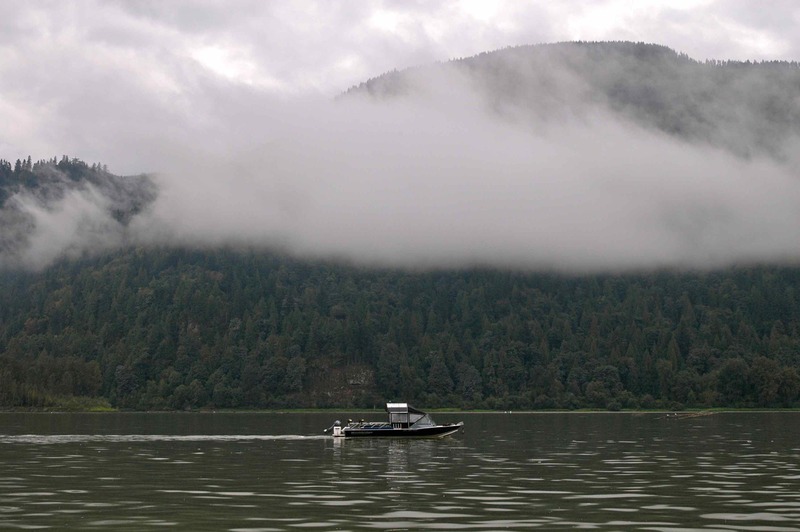 If you want to catch salmon at an affordable price, BC is the place to go. 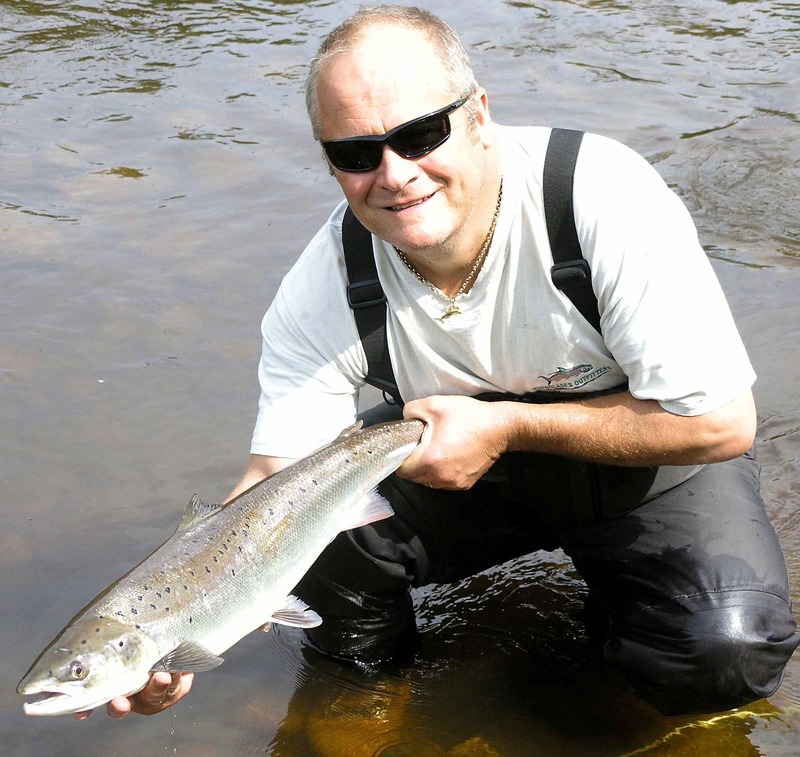 Couldn’t resist throwing this one in, an Atlantic salmon from the River Usk here in Wales. 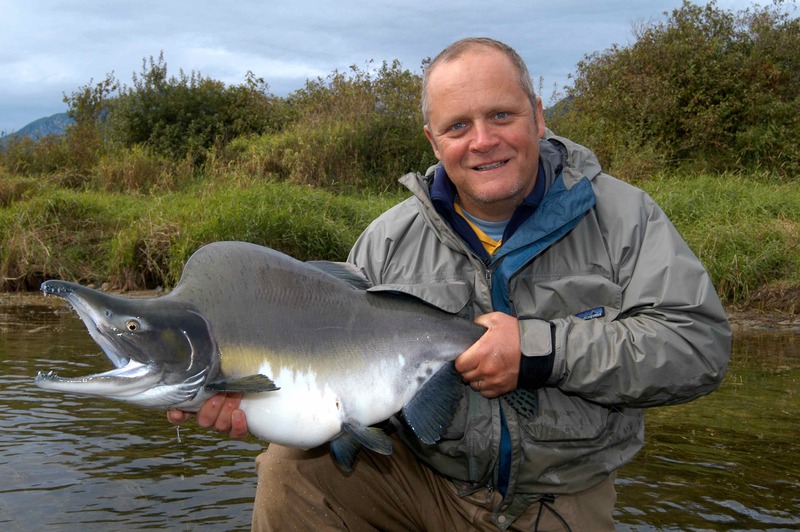 I have been passionate about salmon for many years & have caught Atlantic’s from the UK, Ireland and Denmark. 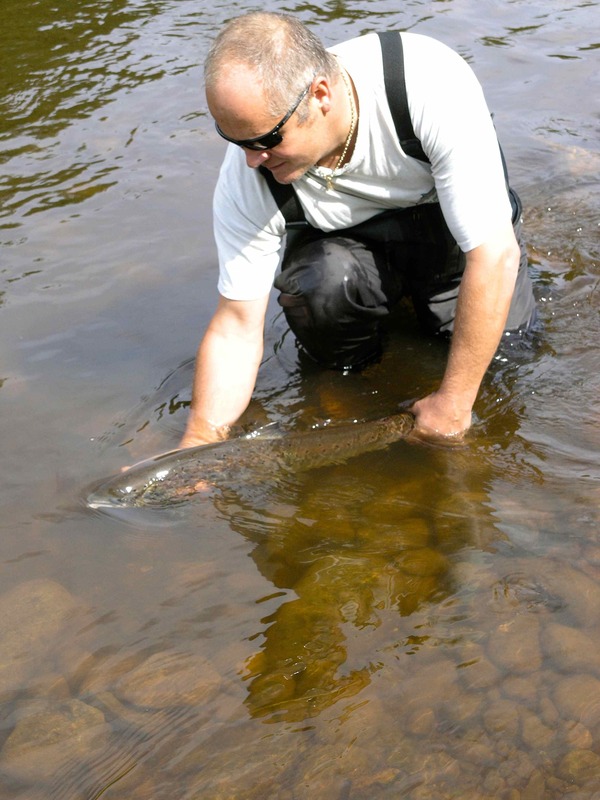 Releasing a fresh Atlantic salmon on the River Usk, now I just need to catch a chinook, chum and coho salmon to complete an IGFA Royal Slam-watch this space!